We are the #1 shipper of Italian honey bee packages on the east coast and in the mid-west. You can choose from #3 Italian honey bee package or 5 frame nucs. Our nucs have new frames and newly drawn out combed foundation. We ship bees on a weekly schedule from mid-March 2019 to early May 2019. We know and understand the logistics of shipping honey bees. For those close by, we also offer “in-store” pick-up of your orders. 80% of our orders each year are from repeat customers. Best quality bees and beekeeping supplies, best customer service, best delivery! That is why we are the #1 shipper of honey bees! Our apiaries are located throughout Georgia. 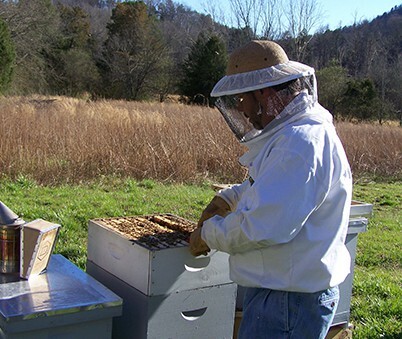 Our bee hives are managed by natural organic methods and we are licensed by the Georgia Department of Agriculture. MAY 6th Ship Date Available! Guaranteed BEST price & BEST shipping rates on shipped bees! We will start taking orders for the 2020 Bee Season on June 27, 2019. Our bee packages are grown here in Georgia. The bee package includes a screen box, sugar water container, approx. 3 lbs. of bees which include nurse bees, forager bees, guard bees, and drone bees. The queen bee will be in a queen cage. starting on June 27, 2019. Shipping will be added to your order at check-out. Ship Dates are subject to change due to unexpected weather conditions. Ship dates are when the bee packages are scheduled to leave our local Post Office. 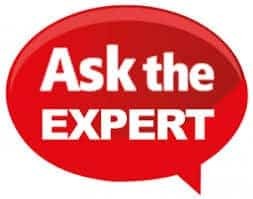 Do you need help in selecting a ship date? If so, please call us at 706-886-1322 and one of our customer service beekeepers will assist you. Our pick-up dates are subject to change due to unexpected weather conditions. We typically will have the packages here at our store around 10:00 am. Do you need help in selecting a pick-up date? If so, please feel free to give us a call at 706-886-1322 and one of our customer service beekeepers will assist you. Our seasonal nucs are started in late February and will be scheduled for pick-up on the week of April 14th. You can expect 3 or more frames of brood and 1 or more frames of honey and pollen. Queens have been monitored for hygienic qualities, laying pattern, and productivity. Do you need help in selecting which type of nuc to select? If so, please feel free to call us at 706-886-1322 and our customer service beekeepers will assist you. Local Pick-up Only. Scheduled for April 14, 2019, weather permitting. An overwintered nuc is the highest quality nuc. We begin raising the nuc in September and is ready for pick-up on the first week of March. You can expect 3 or more frames of brood and 1 or more frames of honey and pollen. The queens have been monitored for hygienic qualities, laying pattern, and productivity. Do you need help in selecting which type of nuc to select? If so, please feel free to call us at 706-886-1322 and our customer service beekeepers will assist you. Local Pick-up Only. Scheduled for March 8-9, 2019, weather permitting. We ship to 31 states: AL, AR, CT, DE, FL, GA, IN, IA, IL, KY, LA, MA, ME, MI, MD, MO, MS, NC, NH, NJ, NY, OH, OK, PA, RI, SC, TN, TX, VA, VT and WV. These starter hives will get the average beekeeper through your first year of beekeeping. We offer a 10 Frame and 8 Frame kits. This Beginners kit is all, most beginning hives, will need in their first year. The kit includes: Solid bottom board, entrance reducer, deep super, (2) medium supers, inner cover, outer cover, (8) deep frames, (8) deep plastic wax coated foundation, (16) medium frames, (16) medium plastic wax coated foundation. This kit comes unassembled but we do offer it assembled for a small fee. To order visit our Hive Ware page. We will ship this within (1) business day. Free shipping on unassembled hive only. Hive does not include hammer, glue or nails for unassembled hives. The Jacket & Tool combo is an excellent way to save money! You will receive a beekeeping jacket sizes S – 3XL, Beekeeping Basic Guide Book, 4×8 Smoker, Boardman Feeder, Hive tool, Goat Skin Gloves sizes S – XL. 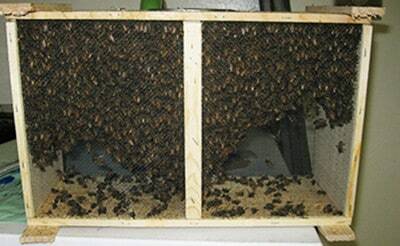 Everything you will need to start keeping bees in your backyard! 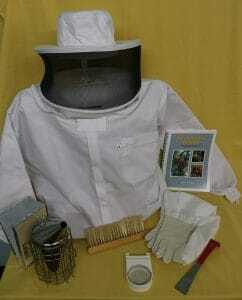 This Beginners kit is all, most beginning hives, will need in their first year. The kit includes: Solid bottom board, entrance reducer, deep super, (2) medium supers, inner cover, outer cover, (8) deep frames, (10) deep plastic wax coated foundation, (20) medium frames, (20) medium plastic wax coated foundation. 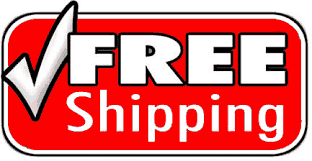 Free shipping on unassembled hive. 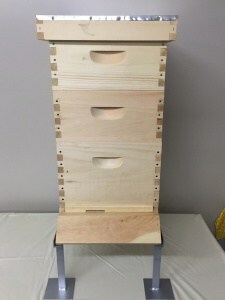 Hive does not include hammer, glue or nails for unassembled hives. Are you a new beekeeper or an experienced beekeeper that needs some beekeeping advice? We are here to help you! Please call our customer service hotline at 706-886-1322 and our knowledgeable beekeepers will assist you. What do I get when I purchase a Nuc of bees? First, our Nucs are grown here in one of our five apiaries. They are more accustom to cooler temperatures. Second, because we grow our own nucs you will have a “laying” queen that has been laying for approximately four to six weeks. The Nuc will have three different types of brood. You will also have five new frames and new foundation with your nuc purchase. We do not sell old frames and foundation that has years of contaminants in our nucs. You will have a great organic start with our nucs! Why are your bee nucs better than others? First, your nuc has been monitored over a period of four weeks. Specifically, the queen has been quality controlled, we track your nuc from day one and understand how the queen bee performs, honey flow, and colony temperament. When you pick-up your nuc, it will be in a special wax corrugated box. The box is specially designed so the frames do not move as you are taking your nuc home. This is very important because frames that move can and will pinch the queen and thus making the queen a non-performer in brood production. Our ship dates and pick-up dates are estimated dates which are subject to weather conditions. We are subject to the weather like all farmers. There are times that we will have your order ready a week earlier or a week later. We ask for your patience should weather condition require us to delay your shipment. We do strive to deliver a top quality product to our customers. What should I expect in honey production for the first year? The first year should be seen as a “hive building year” and allow the bee colony to grow. In most circumstances, the new bee hive will produce one super of honey but this honey should be left on the hive during the winter months. Any excess supers can be harvested. We will take “Stand-by” orders on packages or nucs on each date scheduled. We offer this service to help our customers who are late in placing their order for a given ship date or pickup date. There are times that the hives out produce our shipments or a scheduled customer order, decides to delay a shipment. This allows us to fill additional orders but is not a guarantee that your order will be filled. This is subject to the bees! We will collect all the standard order information. We will not charge your credit card until we know the bees are available for shipment. Normally, this is the day the bees are packaged. If we fill your Stand-by order your credit card will be debited and a USPS tracking number will be sent via e-mail to you. When a customer selects a specific Stand-by date and the order is not filled, the customer Stand-by order will be cancelled. To place a Stand-by Order, simply call us to see if there are any available Stand-by Orders available for a specific date. Why do you have a restricted shipping area? We strive to have a thriving package of bees delivered to you. We use USPS in shipping our bees. We have found that the quality of bees is sacrificed when bees are shipped outside of our selected ship area. We only ship to 31 states which include: AL, AR, CT, DC, DE, FL, GA, IN, IA, IL, KY, LA, MA, ME, MI, MD, MO, MS, NC, NH, NJ, NY, OH, OK, PA, RI, SC, TN, TX, VA, VT and WV. How long can I keep the packaged bees in the shipping box? For the best results, it is good to pick-up your package the day they have been boxed. This is normally after 6 pm. The longer the bees stay in the screen box, the more stress they have and thus more dead bees. You should install the package of bees within 12 hours of picking up the package to reduce the stress of the bees. How long can I keep the bees in a nuc shipping box? 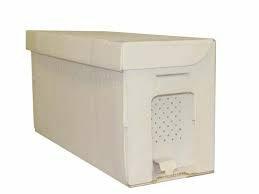 The nuc box is very functional and it is recommended that you move the frames from the shipping box within 3 days. Please note that you will want to place the nuc next to the hive where they will be placed. The nuc entrance should be opened after the nuc has set for one hour. This will allow the bees to be more settled from being moved to your property. Do you ship bee packages and Nucs of bees? We ship 3 lbs. bee package to 31 states. We ship Italian 3lbs. packages. All shipments are FOB. All shipments will be insured through the USPS via Surface Mail. The buyer is responsible for any insurance claims. We recommend that you inspect your bee package prior to signing the receipt ticket. If there is a claim, you should file the claim immediately with the USPS. We do not ship nuc boxes. We are more than happy to work with large orders for associations where one person comes and picks up the order. We strive to have 100% customer satisfaction! Temperature and handling can and will cause stress to your bees. Can I inspect my nuc order prior to pick-up? Yes, most certainly! Please let us know and we can have your order ready for inspection the evening before pick-up. This will allow you to see the queen productivity and the strength of the colony. The bees will be flying in and out of the colony! We normally close up the entrance in the night hours to ensure all bees have made it back into the hive. Please note that if you inspect a nuc on the day of pick-up, you will lose bees as they fly out during the inspection process. We do not take deposits due to the time it takes to call back customers, valid credit cards, and phone numbers no longer in service. We will offer refunds prior to February 1, 2019. After February 1, 2019, any cancelled orders will forfeit their payment on cancelled orders. Our bees arrived in good shape today! Thanks! Sarah S.
Two packages of bees arrived in excellent condition. Very few deaths. Thanks for everything! Sarah B.
I’m very pleased with my honey bee’s. Thanks ever so much! Preston S.